Kingsley Healthcare gets even more Oomph! with programme roll out! 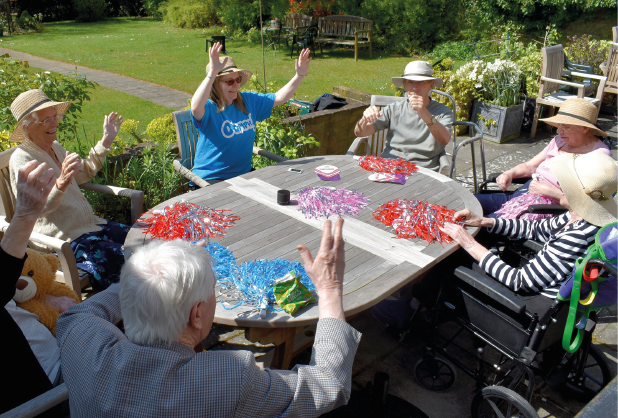 Following the success of the Wellbeing Programme in 13 Kingsley Healthcare homes, a further 12 homes are due to be trained to deliver awesome exercise classes and creative activities for their residents, with the previous homes continuing into their second year. Taking a whole-home approach to activities, staff in 12 Kingsley Healthcare homes will be trained in Oomph!’s Wellbeing Leadership programme. This will ensure that they are equipped with everything they need to create and sustain a person-centred plan of varied exercise and activities that residents love. The training is tailored to each home, and focuses on meeting and exceeding regulator requirements. 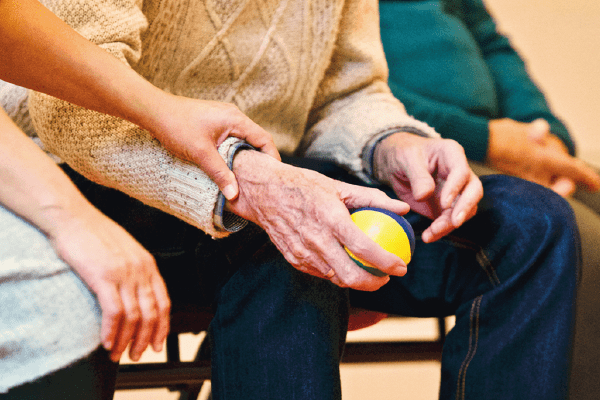 There has already been plenty of impact from the homes who have been trained – for example, Sharston House has set up a befriending scheme to pair up people with similar interests. One pair enjoy playing the piano together, with a glass of sherry during the visit, and another befriender who is a bee keeper recently dropped off homemade jam for a resident’s birthday. At another home, one of the team heard about a resident whose husband was a bricklayer, so took her around the home’s new build project to have a look and meet the foreman. The programme also includes a series of skills workshops, including Oomph! Create, which has been developed in collaboration with The Lightbox Art Gallery & Museum in Woking. The workshop focuses on teaching staff the fundamentals of sketching, painting, sculpting and collage, and how they can practically apply these. Further workshops will focus on culture and nature.